There are 3 main spiritual paths you can walk 1, 2 or all 3 paths as they lead to the same thing: the real you, Awakened Presence! The mythical Enlightenment is actually quite simple. It follows the Laws of Grace, which is mathematical, and I can explain the math of this and what this means for you exactly if we have a personal call or Skype. If you want a personal mentoring or healing session live via Skype, please hit this link. Any questions my phone number in the footer or email via the contact page. Understanding the difference between these paths helps you to focus and progress, thus less pain and suffering, as you come home to awakening faster and in a more stable manner. It helps you get clear on what is a distraction, and won’t help you Awaken so you can live in the Enlightened place. Being clear on these makes a massive difference in how you apply your consciousness. The path of Presence, Stillness, the I AM, inner peace, Being. This is known as the direct path. In the east it is called the Jnana (wisdom or knowledge) path. This is the least common path, but the shortest. Permanent Awakening (Abidance) can be achieved within a matter of years. In this website all material related to Presence, Stillness, Laws of Grace contain everything you need to burn home on this path. The Laws of Grace even define and give you a clue as to how fast you can fully Awaken! All you need to do is apply and be honest with yourself! It takes the confusion and endless distractions out of the spiritual search. This includes Great teachers like; Adyashanti, Eckhart Tolle, Wei Wu Wei (AKA Terrance Grey the western Shakespeare of the wisdom path) Gautama Buddha, Sri Nissagadatta Maharaj, Ramana Maharshi, the Zen tradition, the Taoist masters like Lau Tzu, Confucius etc. This involves that of spiritual healing energy work, light work, sacred geometry, spiritual practices, use of tools such as crystals and essences. This also includes working with the Ascended Masters like Jesus Christ, Mother Mary, St Germain, Kuan Yin, the angelic kingdoms etc. 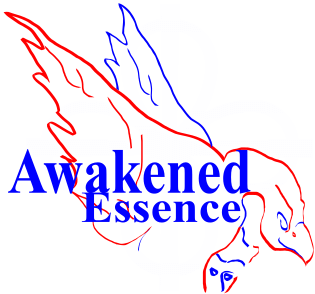 These aspects are offered in the Awakened Essences, essence courses and videos in the clubs. This path is purely optional for those keen and find ‘spiritual matters’ dubious. This can fit into either, what path it fits into depends on where the primary consciousness comes from, be that of the personality/ego/mind or the impersonal Presence that is Who You Are. The Inquiry Path is where one seeks to understand oneself to unravel the bad habits the negative beliefs and behaviour patterns. This is most often seen in western cultures as any form of counselling, belief changing, emotional work or alternative therapy. When done from within as Presence (seen while you are in Presence, Stillness, the Awakened state) is fits in the Wisdom Path. When done from a healing or personality viewpoint it is part of the spiritual path. In-depth information and techniques are available on this website. Inquiry techniques undertaken from the place of Presence are ten times more powerful and permanent, as it sinks through all the levels of your being. More explanation of this is given on the webpage Inquiry: the Powertool! When done from Presence [which is Yin / feminine as it is an allowance of what is] Inquiry is the Yang the masculine aspect of the Path as it is an active doing with your mental and emotional faculties and consciousness. Thus the balance of Yin/Yang or Feminine/Masculine is achieved. Perfect! The introductory free videos and content in this website, Youtube channel, Facebook page give you the basic foundation of this super powerful path. 1-on-1 mentoring will tailor Inquiry to your strengths and specific situations so you master this and Awaken the fastest. Inquiry paired with the Wisdom path allows Grace to act and transform you with minimal time. Then the Spiritual aspects can be added, if that is you thing, to add more Grace. When you understand each path you can build bridges between them, and awaken faster. In some situations a “spiritual approach” may shortcut you home, in many situations in your life, it may make it longer. Sometimes the injection of Grace or techniques that are beyond the mind can make a breakthrough and make your Wisdom path progress faster. As already mentioned above, Inquiry is the power tool and support material in awakening and if used under the Wisdom path, it will integrate you are more levels than that of the spiritual path. As your Presence deepens you will shift material faster so you realise that what you are is Presence. Thus this website, the clubs with its content and of course the mentoring is here to take all the guess work out so you come home the fastest with ease. Bridges make any trip shorter. My life purpose is to build these bridges as I can speak deeply on any of these 3 sacred ways and how to combine them. If you can’t wait and want to do learn this then book a free chat via the via the contact page & book a call page. Or book a session here on this link. If money is an issue take a look at the scholarship page and contact to see if this is an option. Awakening in its purest simple terms is your capacity to be present, still and in this moment. Therefore I call this the ‘Wisdom Path’ as do some of the other teachers out there. It purely comes down to you being tuned into your inner space. Feeling your hands, your Backside (bum), your feet. Noticing the space in your body as you breathe. Do this as you read (or watch the video above), if you want happiness and peace that is. Notice how quickly you can do that. Notice what else is rummaging around in your consciousness, good or bad. No need to change any of it. Be aware of my voice / text and feel into the space within your body. My voice in your head as you say these words. Notice you can be here. Be, feel the space if you can. All these videos in this website will usually have me prompting you to practice. Reminders to practice are good. See the Laws of Grace pages and videos. This entry into this place of inner Presence and Stillness is defined as the Wisdom Path to Awakening. This wisdom path is a core thread in these videos and website. All the other material in this website comes from the basis that you are first bringing yourself to this place of Presence. Simple, be aware of your tummy breathing, feel inside your lower body. But as you notice that it will Shift. Just be with it. It’s OK. This coming back, over, over and over stabilizes your Presence. Eventually one day you can’t lose this Presence. I call that Abiding Awakening. You realize what you are is consciousness. Impersonal awareness that doesn’t have a birth date, doesn’t have a driver’s license or a birth certificate with a name on it. You are just awareness and consciousness. This awareness is attached to the body. I am asking you to be aware of this. Be aware of your hands. It’s your body. You are attached to it. It’s your home, it is your sensing mechanism. For some reason I teach a number of spiritual Paths. This wisdom path is the core Path. This will bring you Home fast in two to four years if you do the work in this site, and apply it. Home (Awakening) being defined as ‘mid non-abiding’ phase as defined in this website. Mentoring with me obviously helps to improve your motivation and to ground the consciousness faster if you want that. It’s a pretty good place and you’re on the final stretch by then to full Abiding Awakening. Just a matter of practice and Grace, which is what we work with here, using the Laws of Grace. The energy that’s here in the videos, website and me in mentoring will help you clearly define and move though the levels of consciousness I describe. So that brings me to the other path. The ‘Spiritual Path’, this is all the other approaches and techniques, the cubbyholes that are distractions. A lot of the different spiritual paths don’t mention Presence or Stillness. They don’t mention the fact that you are the impersonal awareness that you are. If they don’t, then they reinforce the Ego – and that is not Awakening, Enlightenment or true freedom. Few approaches say how to get there quickly and fast. It’s the ‘Spiritual Path’ where you have Initiations, Shaktipat (energy boots) and all these other things. I mention some of these in what Awakening is Not. Where you look at, or usually talk about, your chakras. Question: can you personally touch or see a chakra? Some people can see them, but not many can. All these other things we have trouble truly measuring and seeing, the Ascended Masters etc. You might even have the old crystal, maybe (the one in the video is 77kg) or the odd Phoenix photo on your wall that you took. Without Presence it is nothing! But if they are about and you are using them, it helps you with your Presence practice, then awesome. Let’s use these and make the path short for you to awaken. Let’s use what you’ve already learned, your skills you’ve already learned to come home fast! This website has a lot of spiritual aspects in it. The essences, practices and processes like the healing techniques, but it’s all based in that place you are coming back to. Presence first in this website. Again, where are your hands and your tummy, and the space as you look at screen. Feel it. As best as you can. That’s all you have to do! Simple huh? That’s the spiritual path. Preferably it is based in Presence through the body so you are not in your mind creating things (there will be a video on this problem, as it affects many). Type 1: Inquiry into the big questions, like Ramana Maharshi’s ‘Who am I?’ Big philosophical questions that stop the mind working and give you a chance to fall back into the stillness. Koans (a Zen tradition) that melt your brain so you can’t think, so you get answers that are beyond the mind. Or you can just choose to be aware of your hands and your feet, feeling the space through your body. Hopefully feeling around you and through the phone, or computer screen or tablet. Hearing the car. It’s okay, everything is okay as it is. The big questions are type one. Type 2: This is inquiry into yourself, your behaviour patterns, reactions, emotions and your belief structures. These get in the way of you just being aware of your hands (ie: Present & Still). Do it . How fast was it? Easy huh? As you read the words, feel your hands, feel the space. As you feel that space first and have it established, you can then go internally and deal with your emotional and mental baggage. This is what inquiry is about. As long as you are Present first, you can use any method you have learned that helps you understand your unhealed emotions, unwanted and limiting beliefs, your relationship issues and bad habits. That is inquiry once it’s based first, and you keep coming back to – guess what? Your Stillness, your space (Presence), as best as you can that’s called inquiry in this website. If you’re doing that, with the Presence and the Stillness that is phenomenally more powerful than decades of psychotherapy and all those other things / therapies where you are not Present. If you’re doing psychotherapy and counselling or any other healing method, bring your Presence practice to it and you will move through it fast. Why? Because you’re aligned. The Stillness is who you are before it filters through all of the layers. It is all those layers so all layers are addressed at the same time. Your mental, emotional, etheric, astral and physical bodies as well as the cell’s and DNA. All of the different aspects get the healing at the same time. That’s why it is faster. That is the 3 paths. If you’re doing these other forms of self help, counselling, NLP, rebirthing, psychodrama (etc) and you are not doing it from that place of Stillness then its not part of the inquiry path defined in this website. Inquiry is the second most important part of what’s in this website and what I teach. It’s where you process and remove blocks so you can be the true essence of your being, the Presence without personal blocks separating you from the Unity that you are. When you do apply the practice, you are learning how to ‘Be’. It is a ‘doing’ you are doing to ‘Be’. It is a doing because someone has to choose to be aware that they are awareness (not a person). You have to bring yourself here, to be here. So in that aspect, it is a doing. It becomes a non-doing. It is both. A doing & non-doing – tricky huh? – Being aware of your hands and your feet. Notice the space. Hear the different sounds, the sounds that are around you, outside the room. Then learn to do that as best as you can. From the minute you wake up until the minute you go to sleep The Laws of Grace explain how this works and if you practice, you will come to a fast Awakening using the simple principles are acted upon. If in mentoring I’ll actually also give you material specific for you to work on for you to develop the skill sets including inquiry. If you want to come Home fast, in 2 to 4 years to mid non-Abiding Awakening. It is totally do-able while your life remains as it is,if you put in the effort and are vigilant with applying what is on the website. If you are keen, or if you want to take it slower you can, the paths of the Laws of Grace will show what that means so yu can live in freedom. Where are your hands. Feel the space. Notice your environment sounds. Whatever path you’re doing is fine Presence will add to it. Notice the space inside your body and your environment. This is so simple – so POWERFUL. Can't afford it? No problem! Defining Enlightenment clearly so its useful! Laws of Grace Introduction. Defining and explaining the 2nd Level (cycle) of Enlightenment. Guided Meditations that will show you correct Presence Practice. Learn to do energy work with the Golden Ray online course (I attune you) as the gives you another 'Portal to Presence' that Eckhart Tolle does not mention.